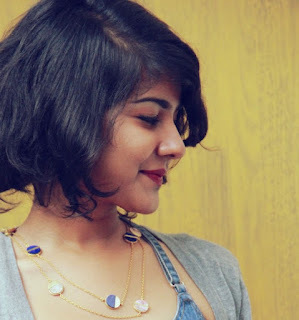 Hello, this one's for all us lovers of the 'casual-chic' . 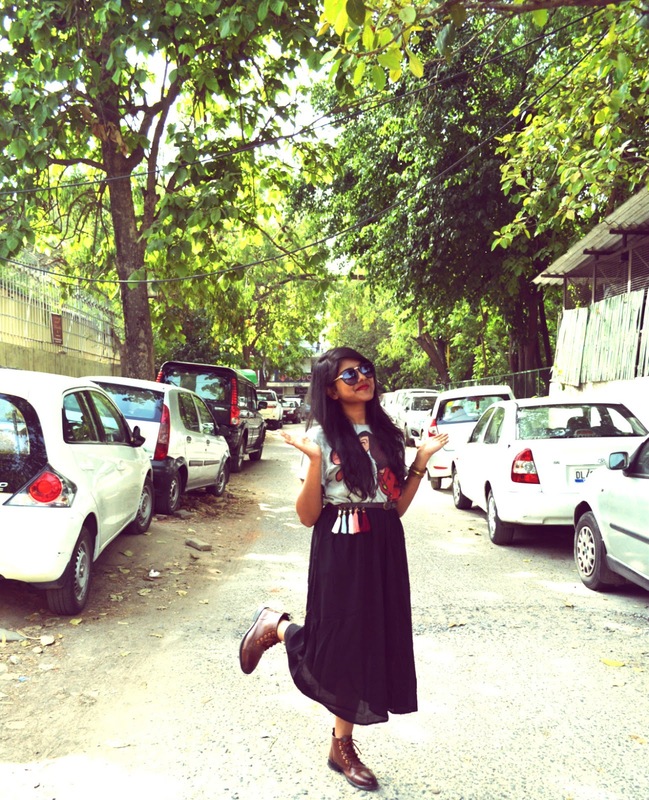 While there are a million reasons to hate Delhi summers, I try to look on the brighter side. 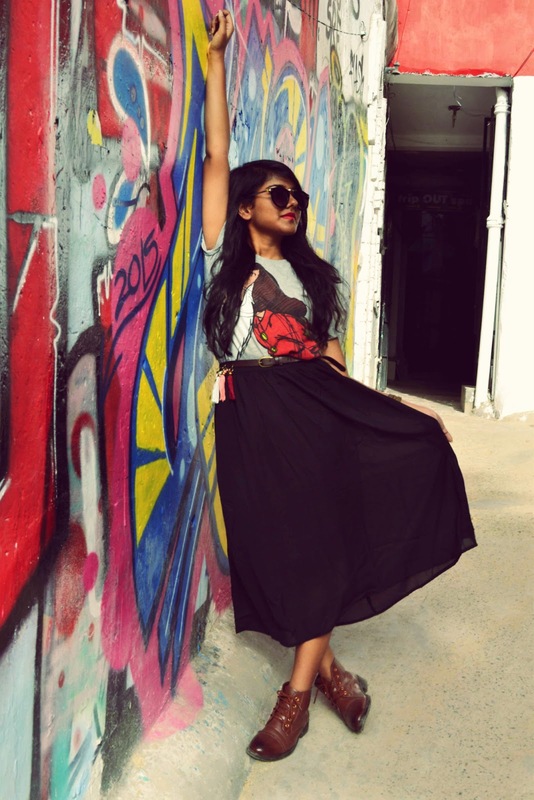 Summers are the best time to experiment when it comes to fashion. 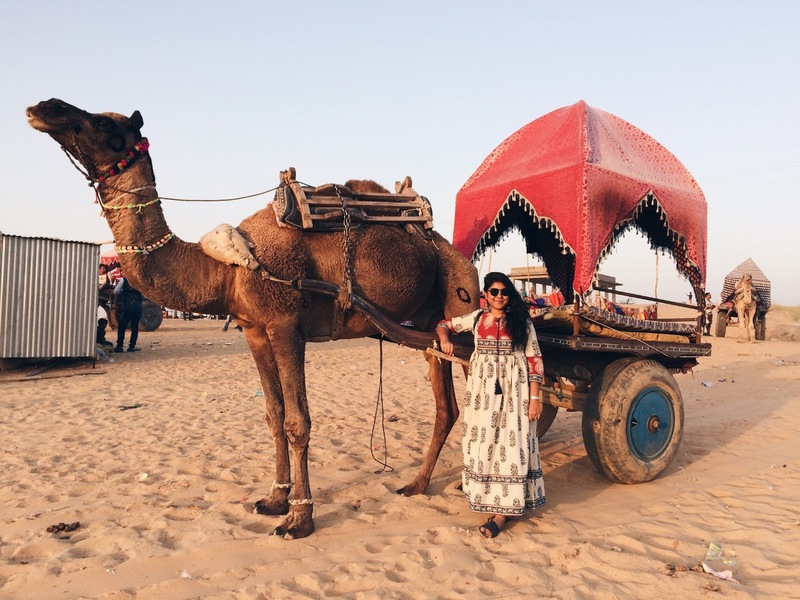 There's just too many options to choose from and the malls and markets are full of vibrant prints and breezy materials enough to make you drool. You could easily lose track of how much you've spent until you realize your wallet is empty and God knows how you'll get home now- True story. I try (and fail) to stick to a budget while shopping and I am constantly on a hunt for good quality, affordable fashion that is comfortable, casual and trendy. That's why I hit the nearest Max Fashion stores quite often and come home with brimming shopping bags, a happy heart and my budget intact. 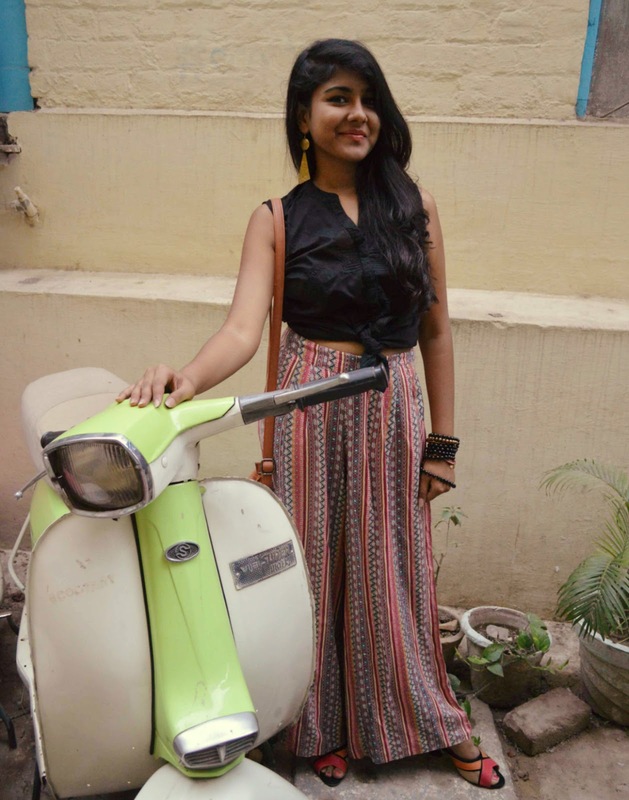 This time, I went to pick up my favourites from the Max Fashion's summer collection for an exciting blogger's styling contest- The #MaxRoadToParis Contest. 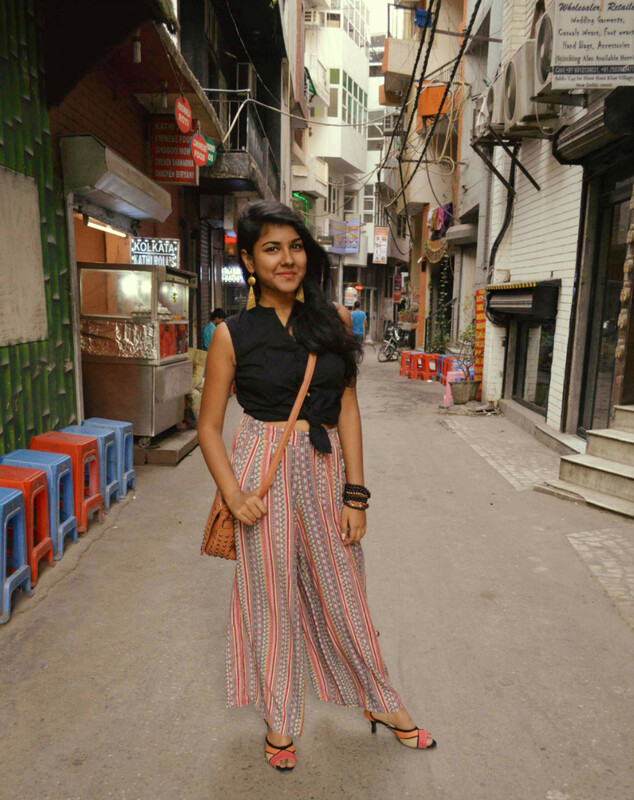 The theme for the contest, much to my delight, is #StreetStyle, and would help me reflect my everyday personal style. Whenever I think of streets, I think of graffiti, carelessly parked vehicles, street vendors, colourful shutters and construction materials casually strewn on the side- and that's what we've tried to capture here. 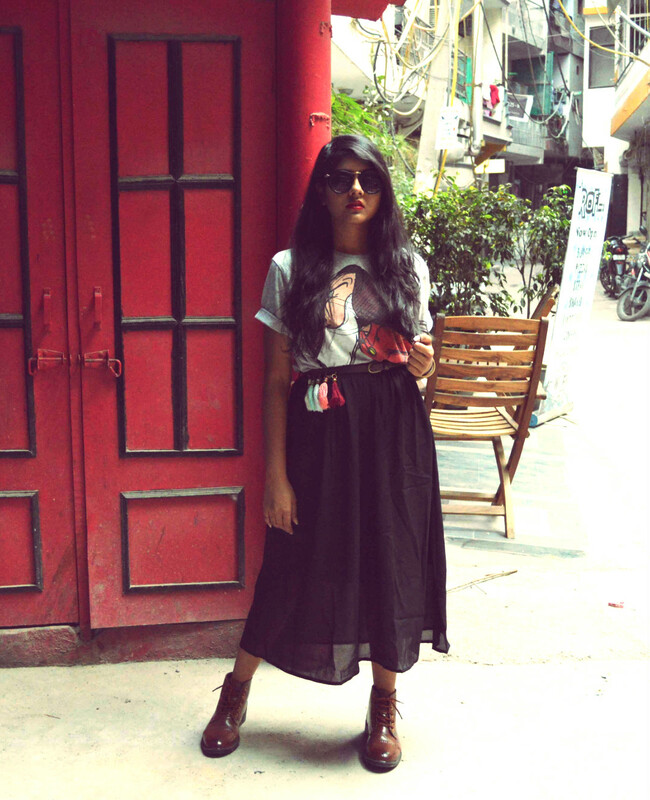 I believe Street Style is that careful balance of the under-stated and the super-dramatic. It's where your own casual interpretations meet contemporary fashion trends. It is about making a statement with as less as possible- minimally chic, as I would call it. 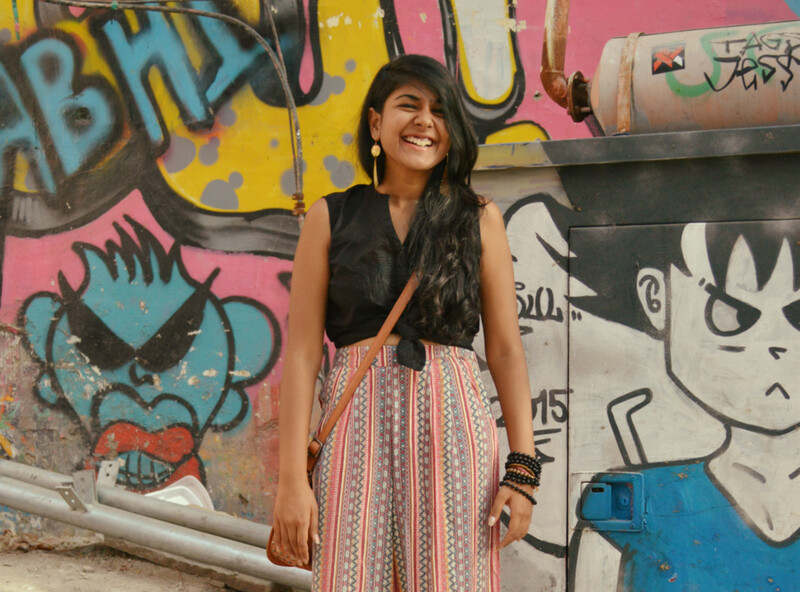 To sum up, Street Style for me is majorly about carefree, comfort dressing with a dash of creativity- having fun with whatever is in fashion and also, whatever is not in fashion but you like anyway! 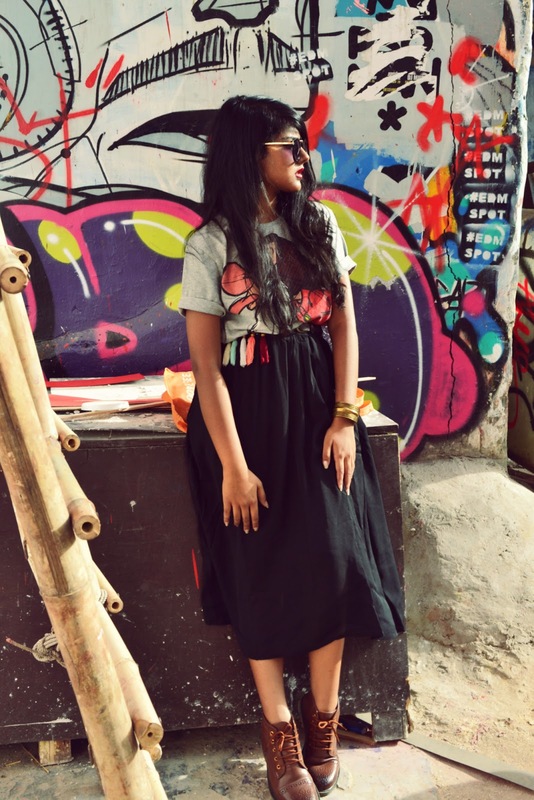 My love for midi skirts is at its peak right now and this black number came with a colourful tassel belt that just adds to the fun. 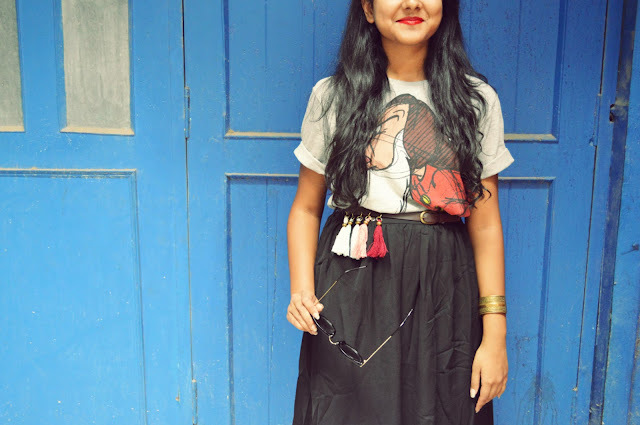 I paired it with a men's t-shirt from Max's Disney collection because of how well the colour of the graphics went with the tassels on the skirt. Also, I have a history of stealing t-shirts from the men in my house. I am drawn to men's t-shirts because I like how they fall on my frame and how breathable they are. Plus, this one's a 100 percent cotton and that really matters to me. My favourite brown brogues played the perfect 'sole-mate' to the outfit, along with a pair of black and gold over-sized sunnies and an antique gold cuff. 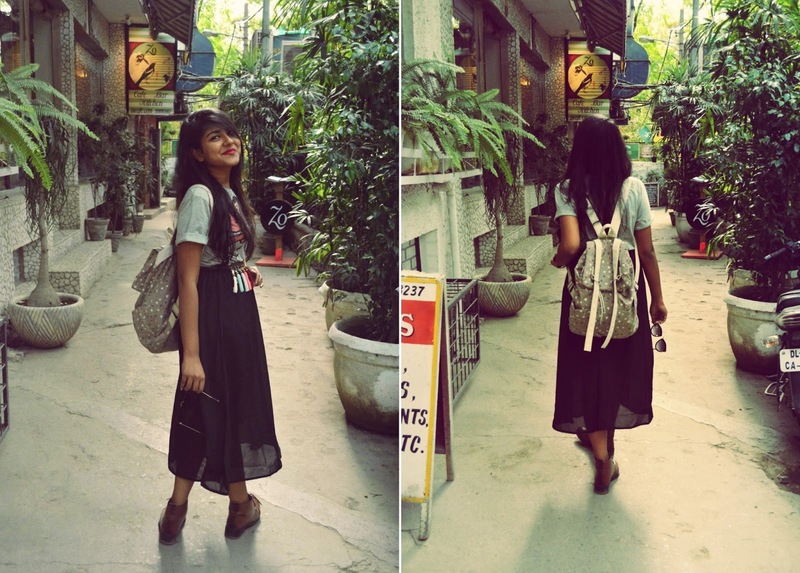 Honourable mention to the backpack in the end that I carry almost everywhere I go. I have never really been a skinny-jeans kinda girl and always preferred loose pants that just let you breathe and dance around. 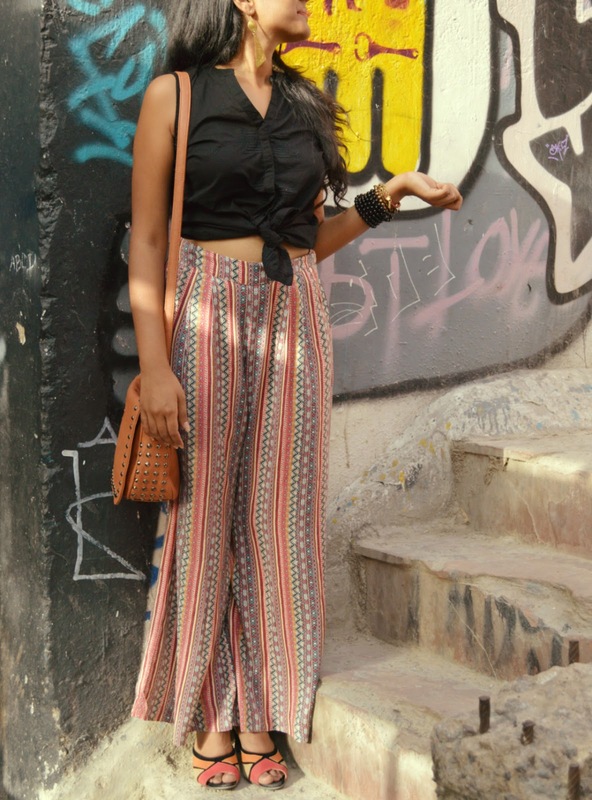 I had my heart set on these tribal print palazzo pants the moment I saw them at the Max store. 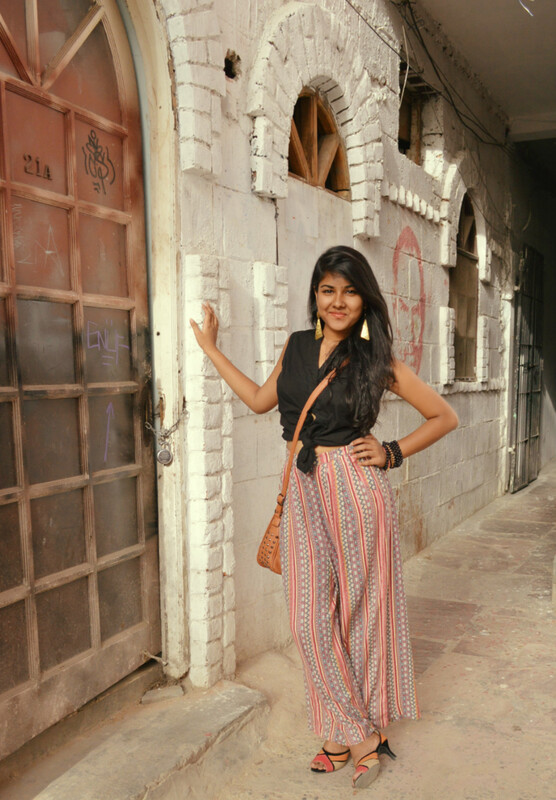 These are so versatile and can be paired with pretty much everything, from a crisp white shirt to a crop top, from a plain Indian kurti to a sizzling bralet- these pants won't fail you. I chose to wear a simple black cotton buttoned down top which could have been tucked in. I, however, chose to knot it at the bottom for some fun. 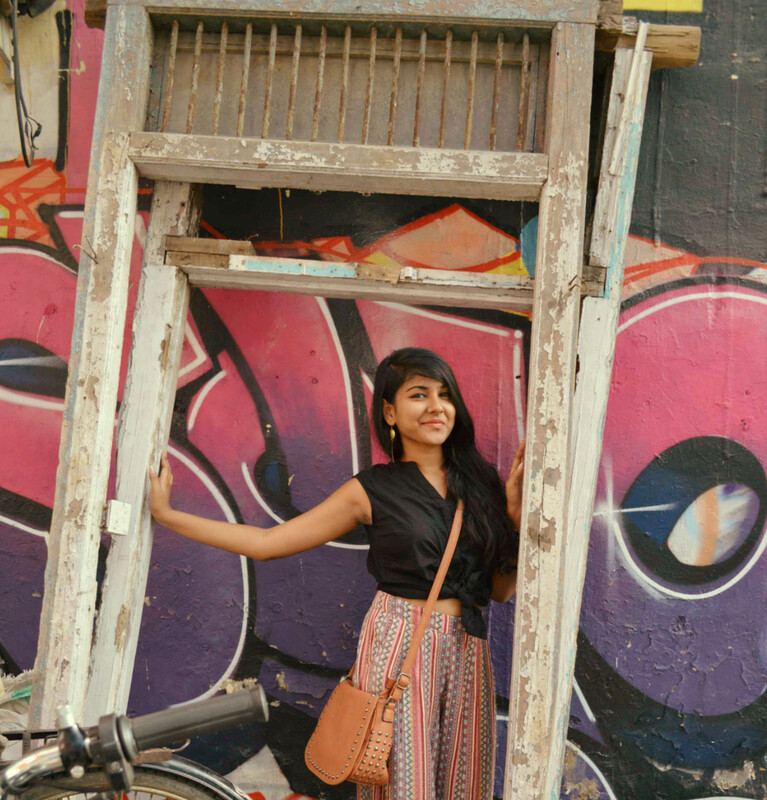 My colour-block sandals and the studded rust sling complemented the colours of the outfit. For the much needed bling, I added geometric gold metal earrings and layered bracelets on the wrist. I would love to hear from you. Do let me know which outfit did you like more or what was your favourite piece of clothing in the post. I loved the post!!! :) You look gorgeous! Hi.. Love both ur looks very stylish ! Loved it Mahimaaa! Way to go girl! Loved both the looks! 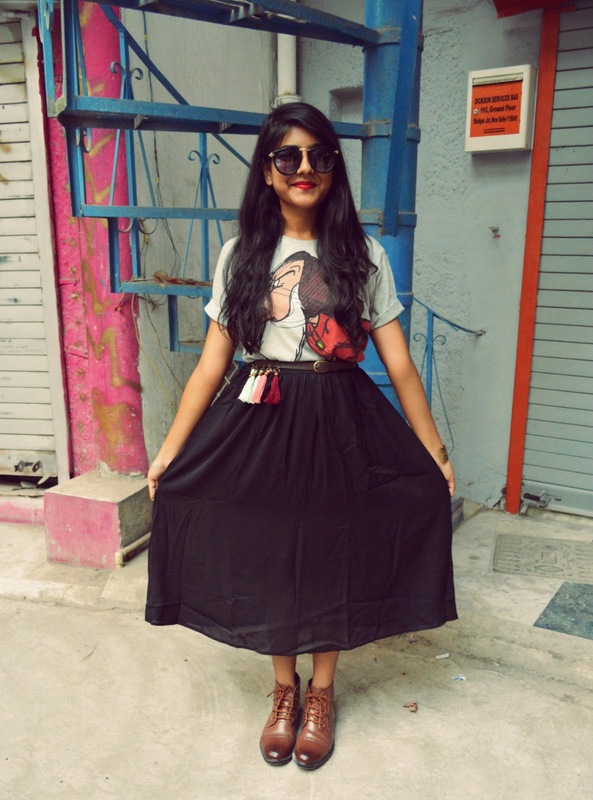 I am so going to buy that midi skirt 😍.. Way to go Mahima!